Ok, so I put the summer tyres on Phevy. These are the OEM Toyo tyres on new Fast FC05 rims. The dealer wanted $300 for a set of 4 TPMS, when they had the winter tyre sale, and wanted now $470 for the set. So I looked online and found a compatible set of TPMS for $216 (4 of Oro-Tek OTI-001B TPMSensor). 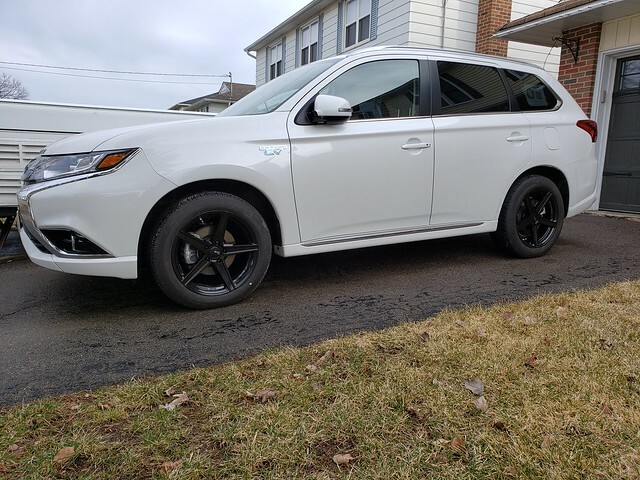 The local tyre guy could not program them for the PHEV, and I had to get in contact with the distributor to figure out what the scoop was. Then I told them to program the sensors for the 2nd sensor slot and they did it for $67. In the end the TMPS cost $283 (incl HST). A savings of $56. Now let's see how long the Toyo's last, so I can upgrade the rubber.